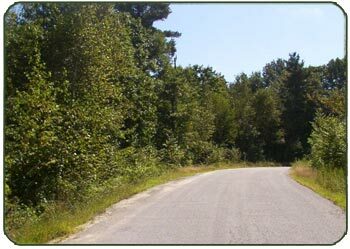 Cedar Ridge Drive is a quiet residential area about four miles from the center of New Ipswich. It is currently home to nine families, many with children, living in well-tended single family homes. The road is a little over a mile long, ending in a dead end at the Temple Town line, so the traffic on the road is very light, and people passing generally smile and wave hello. Lot 1 is the southernmost lot, and has 4.39 acres. It slopes down to a brook near Temple Road and has potential for nice views off of Cedar Ridge to the east. Most of the southern boundary follows a meandering stone wall built in the days when the land was pasture and was used for grazing sheep and cattle. The house site is located at the top of the slope where the potential views are the best. Lot 2 contains 4 acres and is also sited to take advantage of the views of the distant hills off of Cedar Ridge. It also runs down to the brook near Temple Road, and has an especially lovely and private house site nestled in the woods. Lot 3 has 3 acres and a nice house site in the woods. Although it doesn't have the view potential and privacy that Lots 1 and 2 have, it has convenient and easy access to Cedar Ridge Drive. Views to the east, though not as spectacular as Lots 1 and 2, are still possible with cutting. Lot 4 is the largest lot, at 4.59 acres. It offers privacy and view potential. Subdivision approval has been received from the State of New Hampshire and the Town of New Ipswich. Septic systems have been designed for all four lots and the designs approved the State. A. UPPER LOT / TOWN ROAD = LOT 20-09 total = 16 acres = $354,900 for the entire parcel of 4 lots (a reduction of $59,700 or 14.5% from the combined price of $414,600) ; a 10% discount will be offered on the purchase of 2 or 3 lots). B. 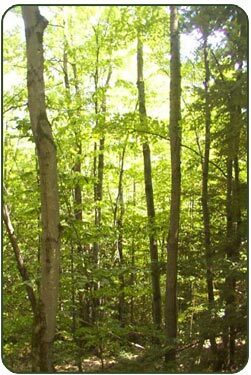 LOWER LOT / PRIVATE ROAD = LOT 10-20 total = 49 acres = $359,900 for the entire parcel of 4 lots (a reduction of $159,700 or 31% from the combined price of $519,600) ; a 10% discount will be offered on the purchase of 2; a 15% discount will be offered on the purchase of 3 lots). Please contact Bruce -- (303) 563-8471 -- Cathy -- (802) 226-7340 or (413) 320-5291 -- or Aaron -- (303) 666-6161 -- for any additional information.